2018 M.E.N.D. 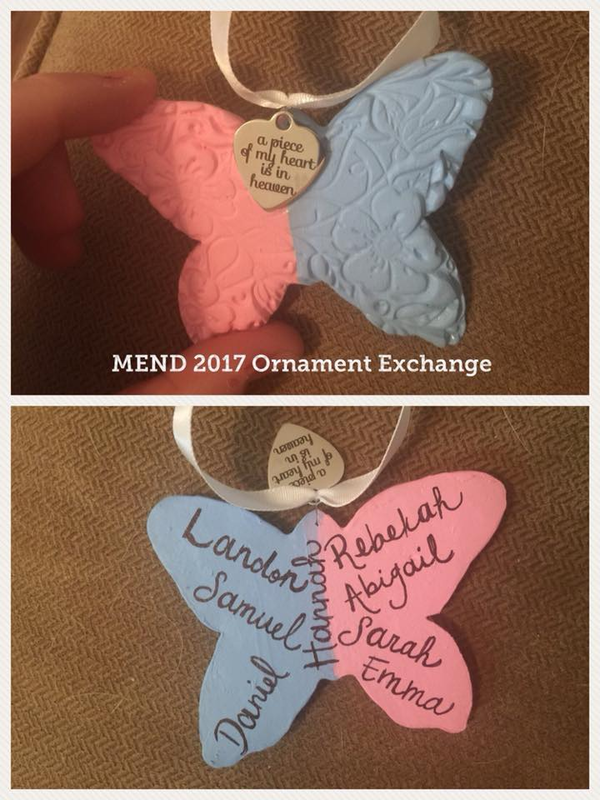 Ornament Exchange — M.E.N.D. ***SIGN UPS EXTENDED TO NOVEMBER 27, 2018!!! Looking for a special way to remember your baby and honor someone else's baby this holiday season? The 2018 M.E.N.D. Ornament Exchange is open for all families/loved ones to commemorate their baby around the holidays. To join in on the fun please complete the form below before TUESDAY NOVEMBER 27, 2018 @ midnight CST! Each participant will then receive their exchange family information via email no later than Friday, November 23rd at Midnight CST. Ornaments/decorations can be handmade or purchased but MUST be shipped with a shipping confirmation no later than Saturday, December 8, 2018. By signing up participants agree to create/purchase an ornament/decoration for each of their individual entries (1 for 1) at their own expense, in addition to shipping costs. New this year we will be doing a 1 for 1 exchange so the family you are assigned will also be assigned to you. Please don’t let your partner down by failing to send your ornament on time or not sending at all. Each family signs up with the hope of receiving a special remembrance ornament for their baby and it is VERY disappointing if it never comes. 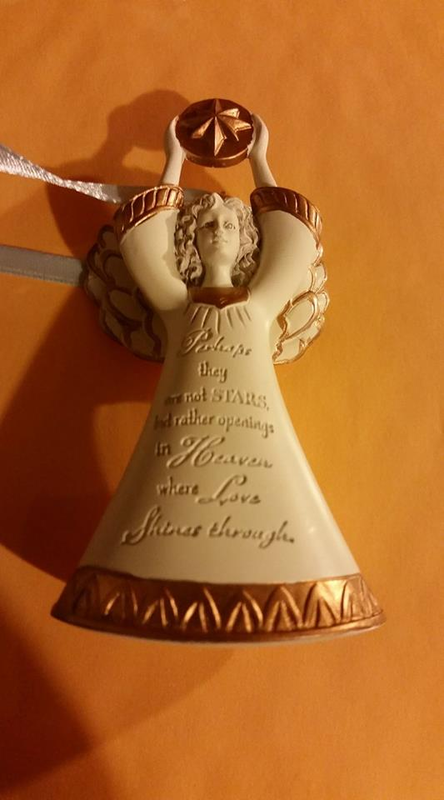 We highly encourage you to review the examples of ornaments that have been sent in years past for creative inspiration.